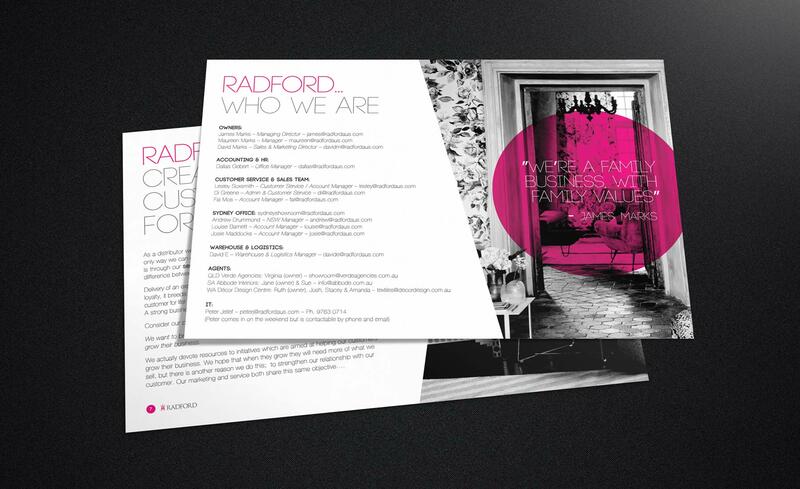 The Radford profile document summarises the company’s essence and objectives. 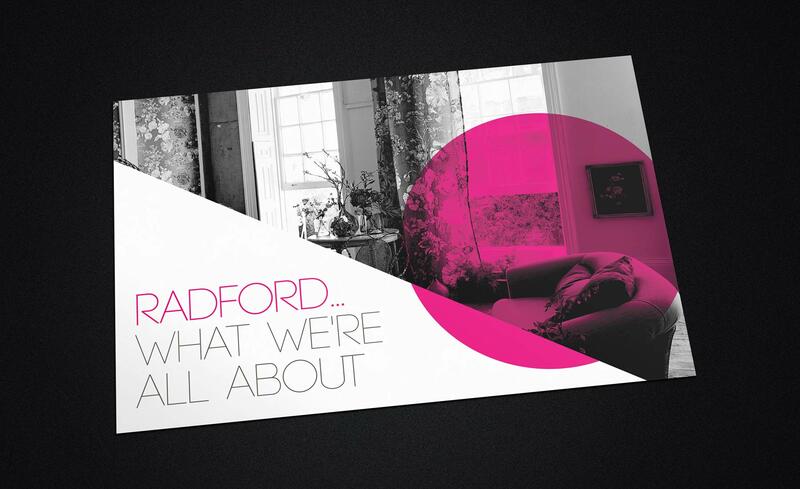 Radford’s primary colour, pink, is used as an accent to call attention to key information and add personality to the document. Corporate documents have a reputation of being quite dull, but we don’t allow this at BVN. 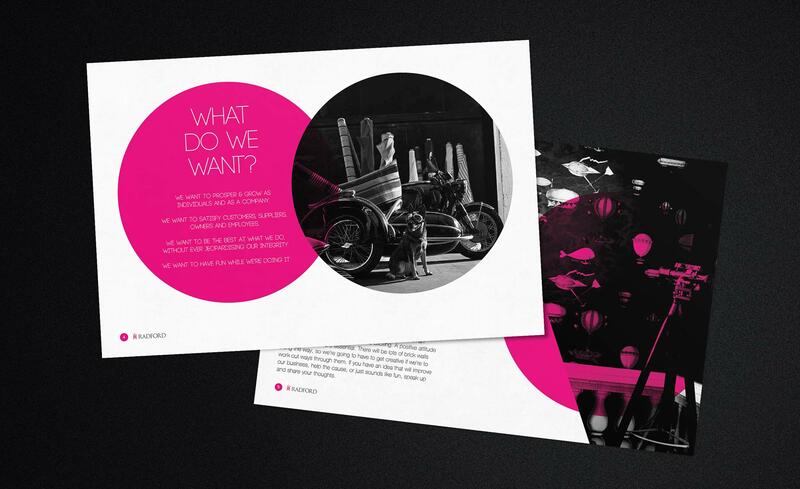 Each page is uniquely designed to be different from it’s predecessor, so that there’s something new and interesting to look at each time a page is turned.